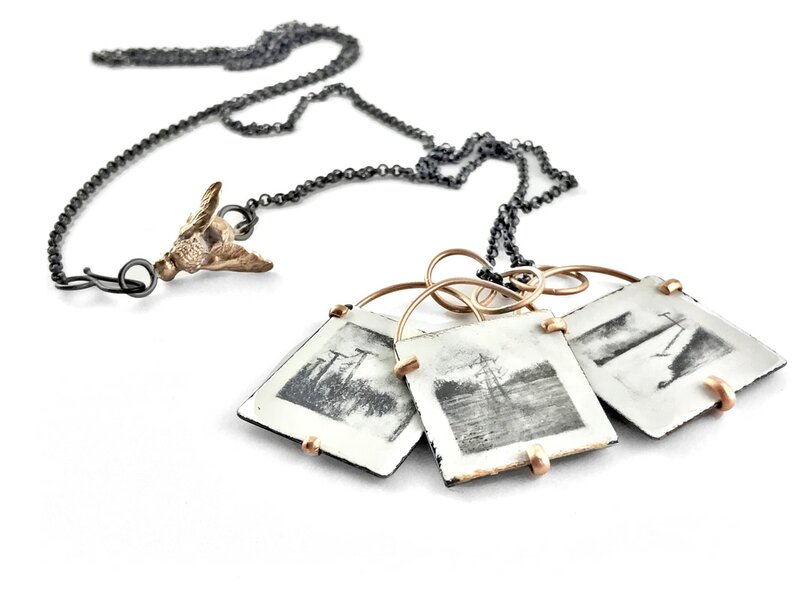 Teresa Kiplinger is a studio jeweler and a noted graphic designer. Her poetic aesthetic combines handwritten messages and original illustration with graphic design and elements from nature. Her work is expressive, personal and hand forged with reverence and care.